100min. Directed by Björn Runge. 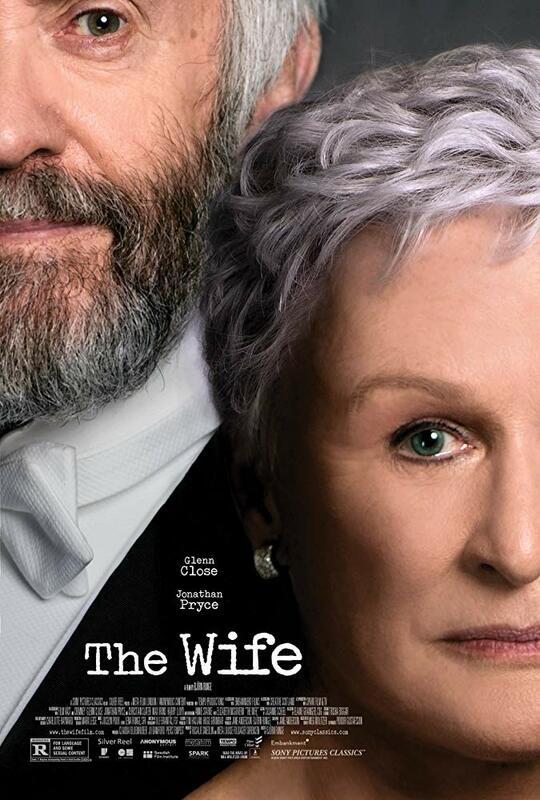 Joan Castleman (Glenn Close) is a highly intelligent and still-striking beauty -- the perfect devoted wife. Forty years spent sacrificing her own talent, dreams and ambitions to fan the flames of her charismatic husband Joe (Jonathan Pryce) and his skyrocketing literary career. Ignoring his infidelities and excuses because of his "art" with grace and humor. Their fateful pact has built a marriage upon uneven compromises and Joan's reached her breaking point. On the eve of Joe's Nobel Prize for Literature, the crown jewel in a spectacular body of work, Joan"s coup de grace is to confront the biggest sacrifice of her life and secret of his career. THE WIFE is a poignant, funny and emotional journey; a celebration of womanhood, self-discovery and liberation.